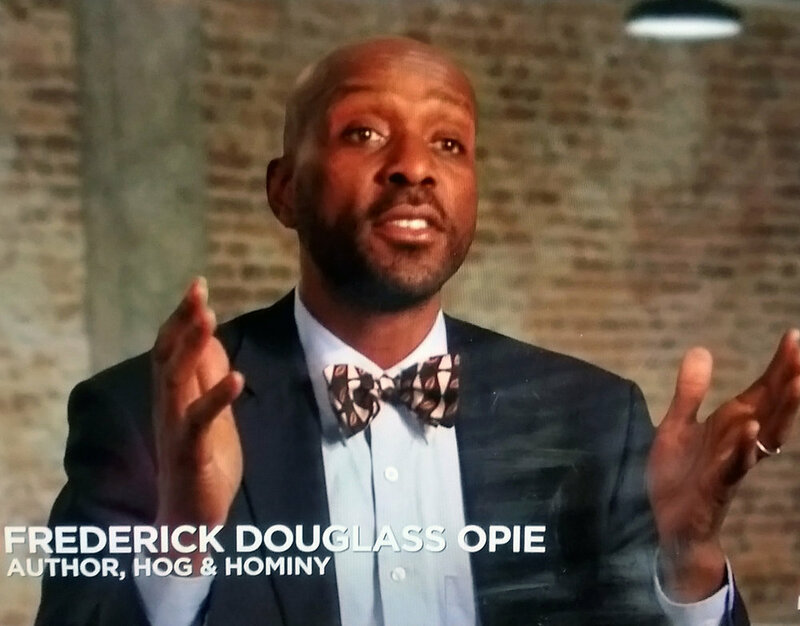 In Hog and Hominy: Soul Food From Africa to America, a food history with some recipes http://cup.columbia.edu/book/978-0-231-14638-8/hog-and-hominy, I included a lot of interesting comparison between African Diaspora cuisines. I read many travel accounts to learn about cookery throughout the Atlantic world. For example, travel accounts of Bahia, Brazil in the nineteenth century note the importance of food to the predominately Afro-Brazilian population of that sugar producing region. Black Bahian street vendors made and sold a wonderful-smelling gumbo they called Carurú that would make a great Thanksgiving Day appetizer. This Bahian gumbo contains: shrimp or chicken, grated coconut; chopped vegetables including sometimes collards, onions, pepper, and definitely okra; palm oil/ dendê oil; toasted peanuts and or cashews, and herbs all boiled to perfection in a large pot.